We're well into the World Cup but still Philippe Saint-André keeps experimenting with his French team ahead of their clash with Canada on Thursday. Philippe Saint-André asked to be judged on the World Cup but after four years of experimenting, he’s still trying out new things with the competition in full flow. Playing players out of position is nothing new for PSA, who has already seen Sébastien Vahaamahina at blindside and Félix le Bourhis on the wing fail miserably, while Wesley Fofana shifted out wide was also a waste of his talents. During a World Cup there has to be some scope for versatile players, with a limited squad, but still Saint-André is testing out new combinations, with Brice Dulin on the wing for only the second time, while Bernard le Roux appears to be a full-time option in the second row, as well as pushing for a place on the flank. 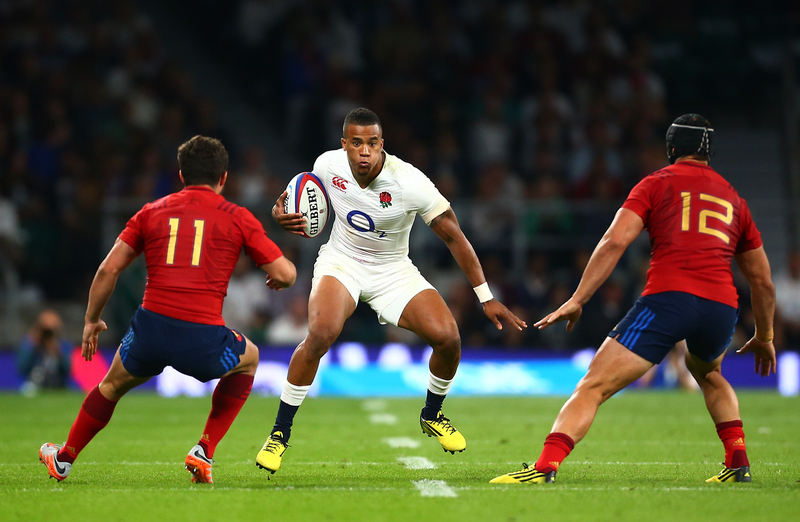 Against Canada Dulin will start on the left wing, a position where he struggled desperately against England in France’s first World Cup warm-up, being made to look foolish by Anthony Watson for the first English try. He won’t be the last player to be stood up by Watson, but it was clear that Dulin, a very capable full-back, was not comfortable out of position. Having lost his starting spot to Scott Spedding, whose powerful boot makes him an invaluable asset given the lack of kicking options in the French midfield, Dulin needs to prove he can play in more than one position if he is to play a role in the big games for les Bleus. As a counter-attacker he is probably France’s greatest threat, but defensively his positioning is an issue, while he is less of a threat out wide than popping up in the line in midfield. Against Canada it shouldn’t be a massive issue, particularly with Rémy Grosso switching wings to cope with the in-form DTH van der Merwe, but it seems unlikely that Dulin will really be able to do enough to show he is a credible wing option. The other change Saint-André appears to be considering is using le Roux at lock. He started there against Romania, and impressed with his huge work rate and strong defensive effort. It’s not clear whether his lack of bulk made an impact in the scrum, which was less dominant than usual, but given the lack of second row options on the bench for France, PSA clearly plans to use him in that position later on in the game. While Dulin is not a serious option on the wing outside an injury crisis, there is a very good chance that le Roux will be France’s back-up lock for the clash against Ireland as well as a potential quarter-final, overtaking Alexandre Flanquart because of his versatility. Of course four years ago France went into a World Cup final with a scrum-half, Morgan Parra, playing ten. 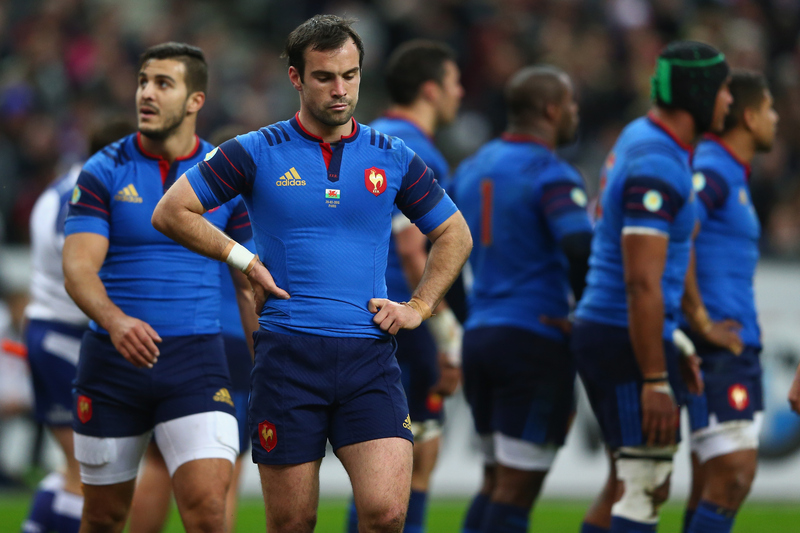 Saint-André hopes that a similar experiment will take les Bleus back to the big game. France: Scott Spedding, Rémy Grosso, Mathieu Bastareaud, Wesley Fofana, Brice Dulin, Frédéric Michalak, Sebastien Tillous-Borde, Eddy Ben Arous, Guilhem Guirado, Rabah Slimani, Pascal Pape, Yoann Maestri, Thierry Dusautoir (c), Bernard le Roux, Damien Chouly. Replacements: Benjamin Kayser, Vincent Debaty, Nicolas Mas, Yannick Nyanga, Fulgence Ouedraogo, Morgan Parra, Remi Tales, Alexandre Dumoulin.